Hannah Storm, with the help of some of her good friends from the world of sports and media, successfully served dinner to a full house of diners on Tuesday, October 8, 2013 at Gabriele’s Italian Steakhouse in Greenwich, Connecticut. The celebrity fundraising event benefited the Hannah Storm Foundation, which provides medical support and education for children and families suffering from vascular birthmarks and their related medical conditions. I’m so proud of the work we’re doing to help children from around the world inflicted with vascular birthmarks, and provide hope to families so their children will have long and fulfilling lives. 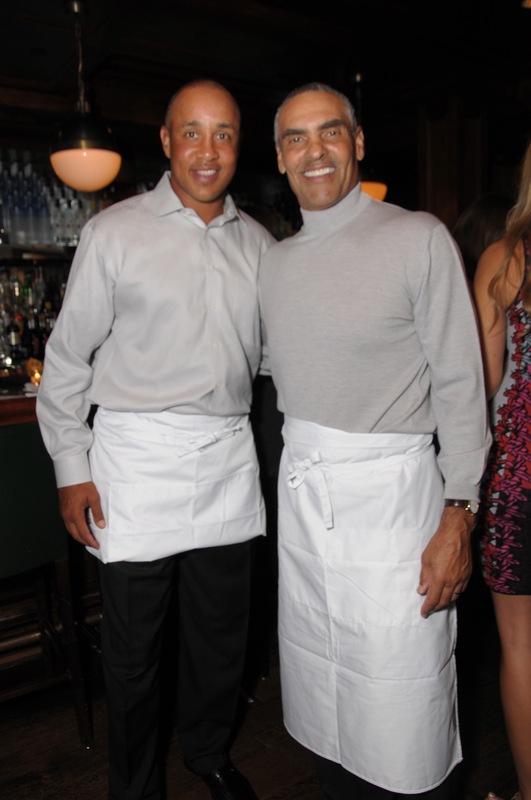 Joining Hannah as Celebrity “Waiters” were top professional athletes and media personalities including: tennis greats, Chris Evert and Jim Courier; New York Knicks great, John Starks; LPGA champion, Dottie Pepper; St. John’s University Basketball Coach, Steve Lavin; Good Morning America’s, Josh Elliott; Former NFL Coach, Herm Edwards; NBC Sports’ Dan Hicks and Jimmy Roberts; Baba Booey from the Howard Stern Show (Gary Dell’Abate); and fellow ESPN anchors: Steve Levy, Kevin Negandhi, Linda Cohn, Wendi Nix, Ryen Russillo, Stephen A. Smith, Cari Champion and Fernando Palomo. To date, the Hannah Storm Foundation has funded 25 surgeries for children from around the world. The Hannah Storm Foundation also wants to acknowledge the generous sponsors and people who helped make the 2013 "Celebrity Waiter Night" a huge success: BLS, Bob Capazzo Photography, Gabriele’s Italian Steakhouse, Grandstand Sports & Memorabilia, Greenwich Magazine/Moffly Media, James Daniel Entertainment, JEM Limousine, Moonshot Productions, Private Capital Advisors, Inc., Professional Security Group, Southwest Greens Golf & Grass, and Thomas and Emily Michaud. The Hannah Storm Foundation was created in 2008 to raise awareness, fund treatment and provide educational information for children suffering from debilitating and disfiguring Vascular Birthmarks. Hannah's passion stems from having a port wine stain birthmark underneath her left eye. The Foundation also funds the Hannah Storm Journalism Internship at Notre Dame. It was started in 2006 as an opportunity for current Notre Dame undergraduate students to gain practical experience while working in the Alumni Association's Communications and Marketing department.